Discover peaceful islands by boat in Fethiye Bay… A lazy day with experienced staff to beautiful and relaxing islands of Mediterranean in Fethiye gulf with Fethiye Sailing 12 Islands Boat Trips. Our tour starts after pick ups from your accomadations and meeting at our sailing boat in Fethiye Harbour. Our first stop is Flat Island, with dark blue and shallow waters. Then Dockyard Island, the island is used as a dockyard with it’s smooth water, which to wards the land just like a lake. You can also see ruins from Grek and Otoman times in here. BBQ lunch is freshly cooked and served at Göcek Island with turquoise and clear water. Open buffet lunch includes chicken, fish and meat balls as main course and diffrent mezes starters with pasta. Another atractive stop, Cavy Bay. Fantastic place with it’s pure waters and calm sea charmes everyone who sees. On the shore there is a small cave in the rocks and stairway leading the cave, the strange thing is both of them are natural. Last stop is Red Island, clear water over the red ground. These are just to name a few… During the day route can change depends on captain and crowd of the islands. In each stop we spend 1 hrs. If you like you can enjoy the sun upstairs with sunbeds or if you like you can watch around under the shade. Changing cabins, toilets, life jackets avaliable on board. 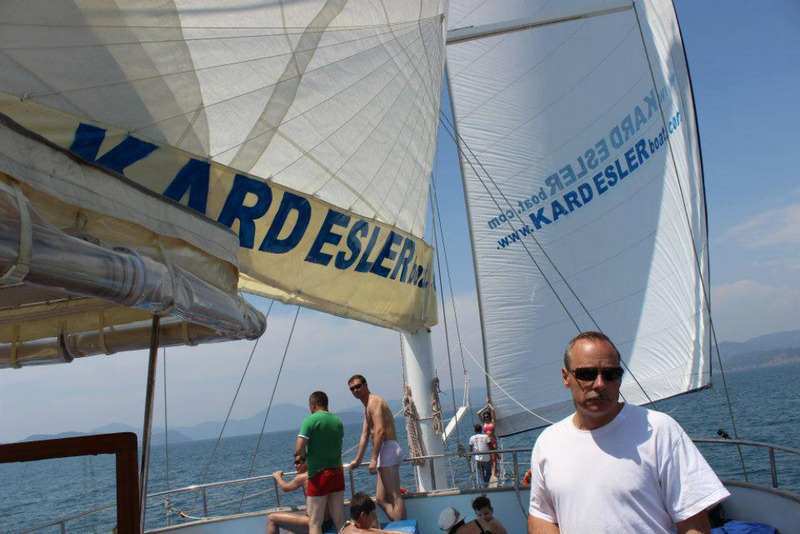 Unforgetable day of your holiday with Fethiye Sailing 12 Islands Boat Trips. 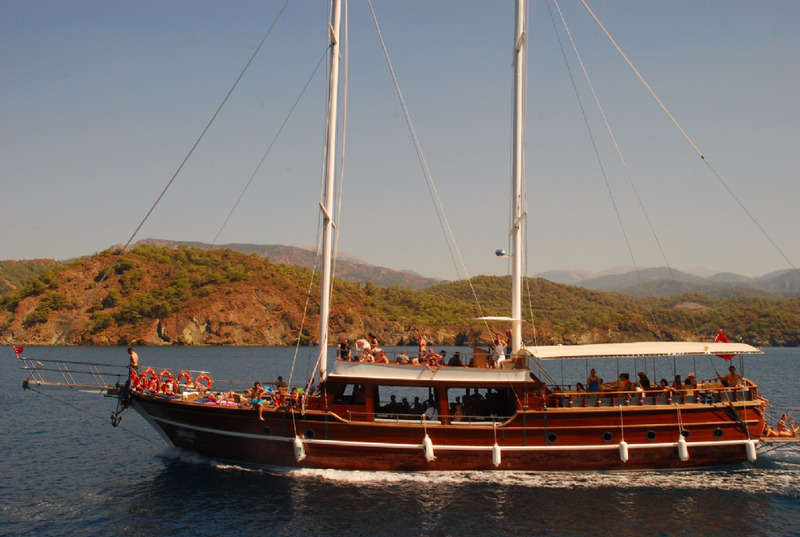 Fethiye Sailing 12 Islands Boat Trip starts at 10:30 am and finishes at 6:00 pm. Our Daily Sailing 12 Islands Boat Trip includes return hotel transfers and BBQ open buffet lunch. You can order all kinds of alcohol and soft drinks from our bar on board with the reasonable prices.